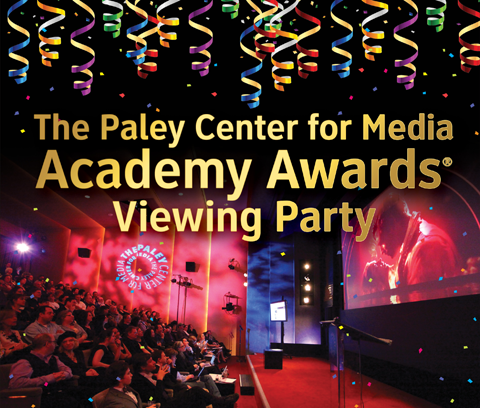 Come walk the red carpet and join us for a great party experience watching the 84th Academy Awards at The Paley Center for Media. This year, the New York Times will originate its live video coverage from the Paley Center, with chief film critic A.O. Scott and Media Equation columnist David Carr offering analysis and engaging with the audience in our Bennack Theater during the commercial breaks. There will an Academy Awards poll with prizes, food and drink, and all the fashion triumphs and disasters on a theater-sized screen in HD. Can't get to the Paley Center? Join the fun at home by making oscars.NYTimes.com your second­screen companion to the Academy Awards broadcast, including A.O. Scott & David Carr's live commentary from the Paley Center.